There’s so much construction going on in Denver these days, it’s hard to sort out the good from the bad from the ugly. Well, maybe not the ugly; things are going up fast and we all have our own personal eyesores. But today, we concentrate on the good, thanks to the annual Mayor’s Design Awards for 2017. The coveted awards have been going out since 2005, but they seem more important then ever this year given the current construction boom, which has increased competition among new projects. The awards are meant to celebrate excellent ideas that have been well-executed and to bring attention to fine examples of civic-minded design that developers large and small can emulate. They cut across style, function and size, honoring new structures as well as preservation efforts. The list of winners shows off the awards’ diversity. 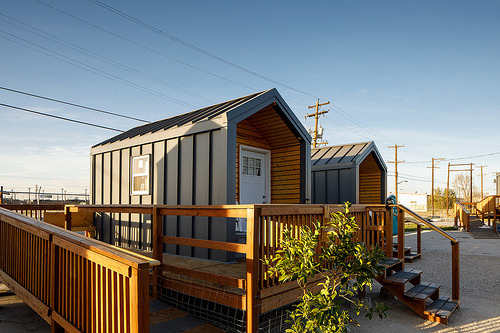 For example, residential projects vary from a swank, single-family midcentury modern dwelling at 618 South Monroe Way, to the multi-family Terraza del Sol apartment building at 355 S. Grove St., to the tiny dwellings set up to shelter homeless people, called Beloved Community, at 3722 Walnut St.
Commercial projects include the clever high-rise, The Triangle Building, at 1550 Wewatta St., and the quaint Cobbler's Corner retail center at 2436 W. 44th Ave. 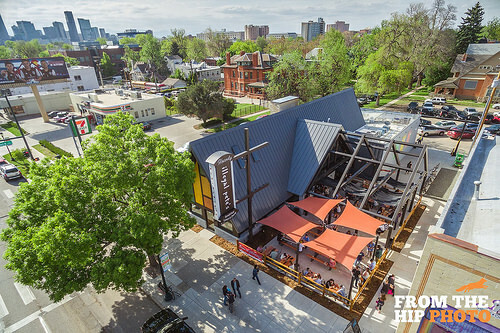 There are high-end restaurants, such as the renovated Cuba Cuba Cafe, at 1173 Delaware St. and fast-food wonders, including Illegal Pete's, at 2001 E. Colfax Ave. Here is the complete list from the Mayor’s Office, interrupted by plenty of photos (following the name of the winner). The addresses are all included, giving you the opportunity to plan out a your own tour of design-forward Denver. • Auraria Higher Education Center,1363 9th St. 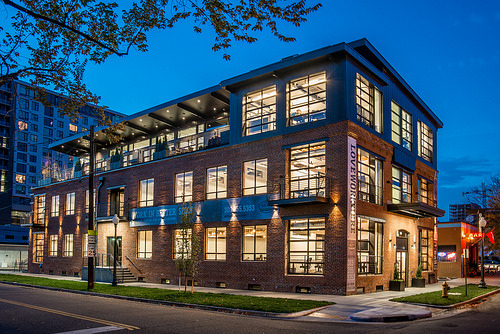 Owner: Auraria Higher Education Center; Architects: Wenk Associates, AndersonMasonDale, Builders: Pinkard Construction, Fehr & Peers, BCER Engineering, Martin/Martin Consulting Engineers. • Cuba Cuba Café and Bar Patio Expansion, 1173 Delaware St. Owner: Cuba Cuba Café & Bar; Architect: Design Platform, Caroline Wilding. • Illegal Pete's, 2001 E. Colfax Ave. Owner: Kentro group; Architects: Melissa Friday, Xan Creative; Tim Politis, One Line Studio; Builder: Spectrum General Contractors. • The Deck, 651 16th St. Designer and builderL Sort Studio. • Alchemy Creative Workspace, 66 S. Logan St. Owner: 66s, LLC; Architect: CF Studio Architecture & Development. 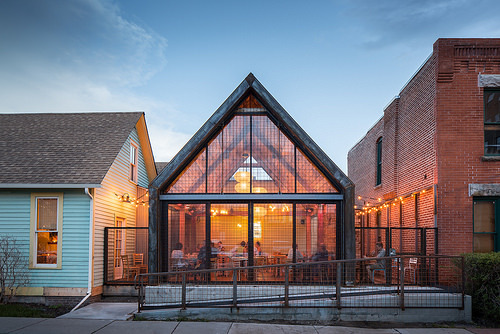 Owner: Grant Barnhill; Architects: Kirsten Brundage and The Interior. • Shift Workspaces-Bannock, 1001 N. Bannock St. Owner: Grant Barnhill; Architects: Kirsten Brundage and The Interior; Builder: Sprung Construction. • Cobbler's Corner, 2436 W. 44th Ave. Owner: Cobbler’s Corner, Jack and Judy Pottle, and Paul Tamburello; Architect: Ted Schultz, Theodore Schultz. 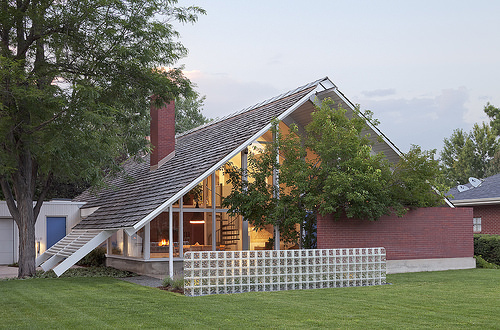 • Mid-Century House Restoration, 618 South Monroe Way. Owners: Peter Buttrick and Anne Wattenberg; Architect: Anne Wattenberg. • Beloved Community, 3722 Walnut St. Project lead: Radian|Placematters & Collorado Village Collaborative; Architect: Radian|Placematters; Builder: Whiting Turner Contracting Company. • Terraza del Sol, 355 S. Grove St. 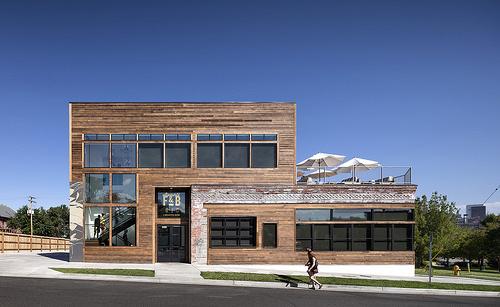 Owner: Gorman & Company, Inc.; Architect: Shopworks Architecture. 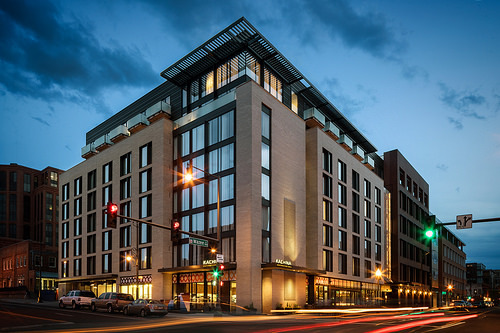 • The Maven Hotel at Dairy Block, 1850 Wazee St. Owners: Grand American, McWHINNEY, Sage Hospitality; Architects: JNS. • Avanti Food and Beverage, 3200 N. Pecos St. Owner: Avanti Food and Beverage; Architect: Meridian 105 Architecture. 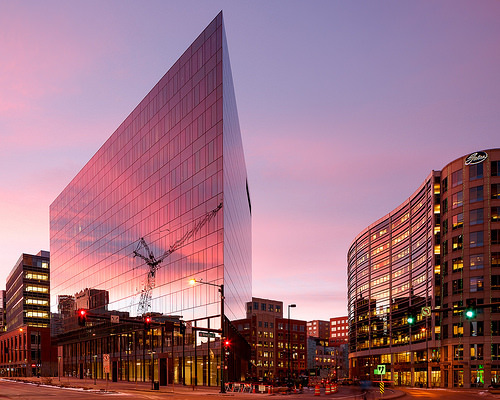 • The Triangle Building, 1550 Wewatta St. Owner: Union Investment Real Estate; Architect: Andersen Mason Dale; Builder: East West Partners.